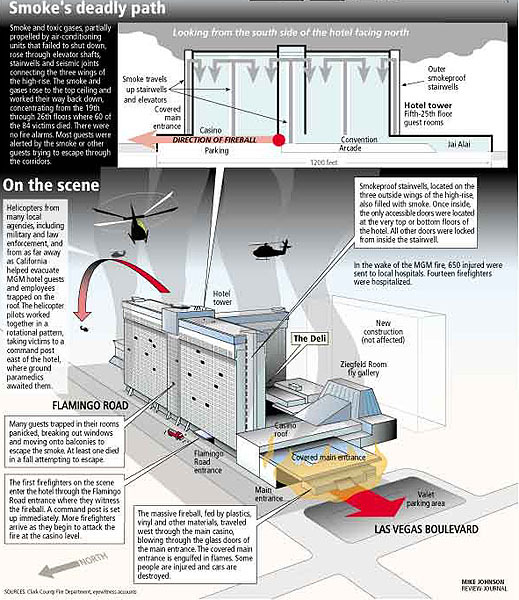 The result was 87 people lost their lives in the MGM Grand fire. A sprinkler system would have cost less than $200,000 but the hotel appealed for a waiver. In the wake of the tragedy, Nevada instituted some of the strictest building and fire codes in the world. But for a terrible tragedy, it is unlikely that the building codes would have changed or whether owners of existing structures would have paid the high costs to retrofit their properties against fire/smoke. 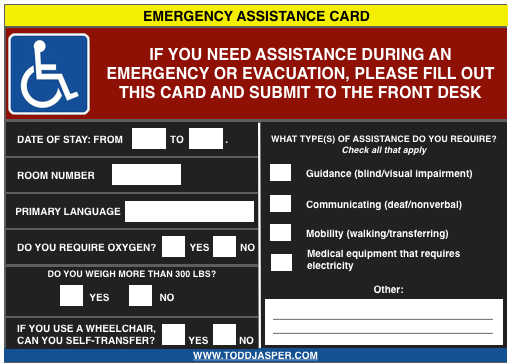 While Las Vegas and the rest of the United States has been fairly lucky since the 1980’s by mandating safety devices and proper building standards, we are long overdue for instituting a simple policy for identifying and planning to assist individuals with functional/access needs during an emergency or evacuation. 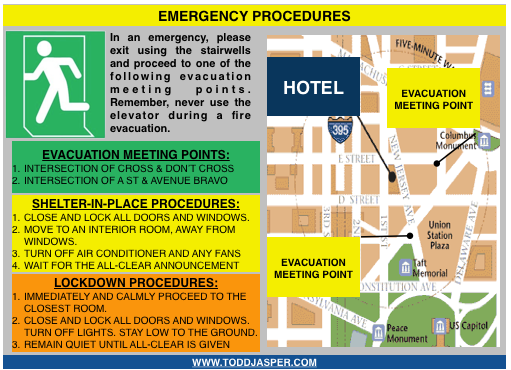 While some cities have developed emergency evacuation assistance programs (like Miami-Dade) and some schools have developed special needs identification programs (like Montgomery County, MD Community College), it still is not a standard procedure for hotels, motels, exhibition halls, stadia, or other highly-trafficked buildings/campuses to identify those who require special assistance during emergencies and evacuations. My policy recommendation is that every state, county, city, and community pass a law requiring all hotels/motels, residence halls, high-rise buildings, and other high-occupancy buildings/structures/campuses to distribute a single, double-sided 5×7 inch paper card to all visitors that includes emergency response information as well as a form for visitors to self-identify as needing assistance during emergencies and evacuations. 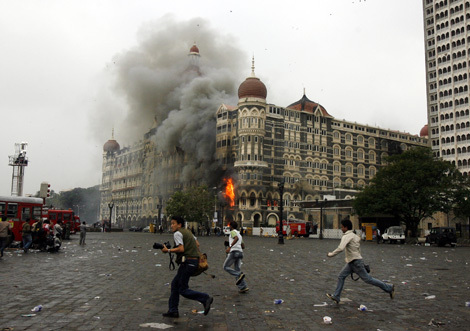 The benefits of implementing this regulation wouldn’t just be helpful for technological or natural hazards, but manmade incidents as well (such as the 2008 Mumbai terror attacks–including attacks on the Taj Mahal Palace Hotel). During the terror attacks, those with mobility limitations would have been unknown to the hotel staff and there might not have been a process to communicate with first responders the locations and assistance needed by those within the crime scene. As a society, we shouldn’t wait for tragedy to strike before we decide to improve our preparedness/readiness. 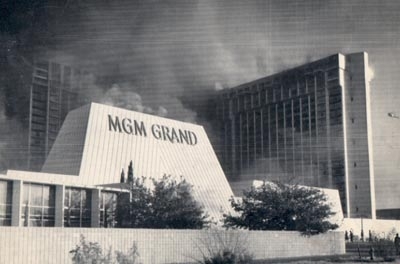 While the MGM Grand fire led to extreme changes in fire protection, if we can proactively use regulations and laws to prevent future deaths/injuries (especially for those who can’t help themselves in an emergency), we have an obligation to do so. In 1992, twelve years after the MGM Grand fire, a small fire broke out at the Riviera Hotel during a national conference for those with spina bifida–a mobility limiting birth defect. The hundreds of individuals in wheelchairs in the convention center were safe–the sprinklers put the fire out in less than a single minute. I’d like to congadulate you on this fantastic post! All too often we do not look back at our own history to learn the lessons of preparedness and by this failure we miss the opportunity to improve our responses and save lives. Your post highlights the need to understand the major domestic responses and apply those lessons learned to today’s threats and vulnerabilities. Reading your post got me thinking about the dozens of case studies that are applicable to currrent events and threats…Well done, Todd.